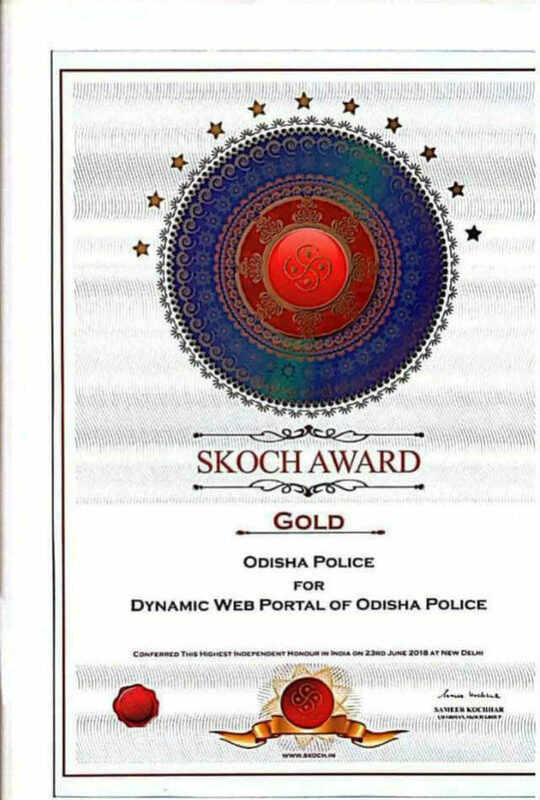 Bhubaneswar: The official website of the Odisha police, www.odishapolice.gov.in has received the ‘Best Government Web Portal Award’ at the SKOCH Award ceremony held in New Delhi on Saturday. Inspector General of Police (IGP) Sanjeeb Kumar Panda received the award under the Gold Category. He shared the portal’s achievements with the dignitaries. He hailed the support of DGP RP Sharma for making the web portal successful. In fact, it is a major step towards transparency, e-Governance and better efficiency, pointed out IGP Panda. The portal is highly informative regarding laws and regulations and has taken the Odisha police closer to the people of the State, added Panda. The web has been much more helpful for the foreigners visiting the State, said Manoranjan Mohapatra, CMD of leading ITES firm, Suyog India.